For close to 2000 years, the Arena of Verona has drawn visitors from near and far for extraordinary open-air spectacles. And for nearly 100 years, summer at the Arena has belonged to opera, with larger-than-life productions featuring star-studded ensembles. With an seating for up to 15,000 people, the Arena di Verona opera festival provides unforgettable moments that no opera fan should miss. 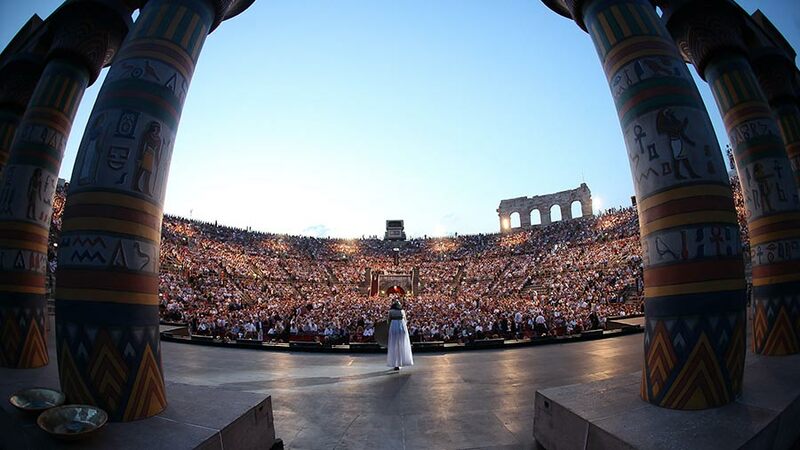 This year’s schedule is practically a “best of” list, bringing the most-loved Arena di Verona productions back to the stage. The festival opens with one of the world’s all-time most popular operas, Bizet’s “Carmen”. The dynamic and colorful production created by Franco Zeffirelli is enhanced by the lavish costumes by Anna Anni. No season at Arena di Verona would be complete without Verdi’s “Aida”. The staging by Gianfranco de Bosio, has become an Arena institution of near cult status, and is based on the original 1913 production. Giuseppe Verdi’s “La Traviata” is the youngest production in this year’s festival. 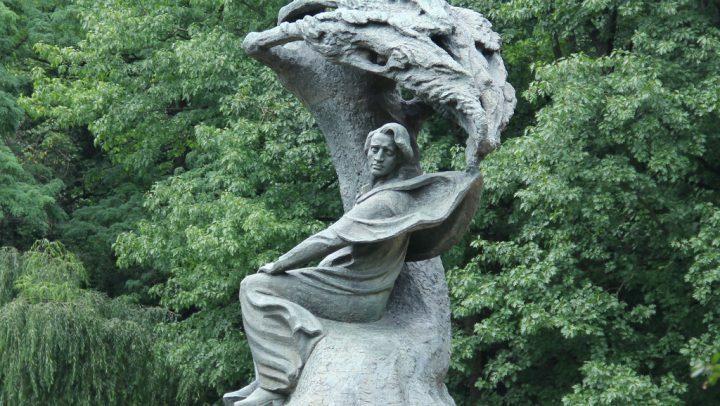 Created by Hugo de Ana for the 2011 season, the opera features lively choreography by Leda Lejodice. Dance fans should not feel left out in Verona this season. Star dancer Roberto Bolle brings his highly popular performance, “Roberto Bolle and Friends“, back to the Arena on July 18th. An international ensemble from the world’s top dance companies offers a mixed program of ballet and contemporary dance. The Arena di Verona stage is transformed into a tremendous golden palace for Puccini’s final opera, “Turandot”. Academy Award-winning costume designer Emi Wada worked with director Franco Zeffirelli to create a stunning vision of Princess Turandot’s magical Asian empire. Franco Zeffirelli’s staging and sets for Verdi’s “Il Trovatore” take full advantage of the immensity of the Arena di Verona stage. Add to that the elaborate choreography of the dance company, El Camborio, plus fight scenes by fencing master Renzo Musumeci Greco! 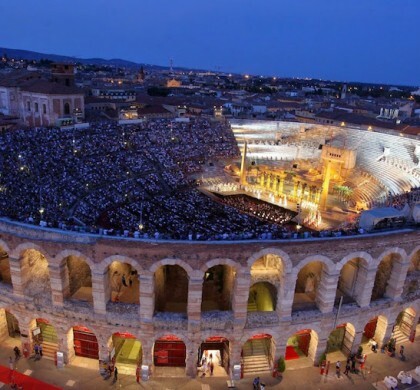 Win two opera tickets for Arena di Verona! 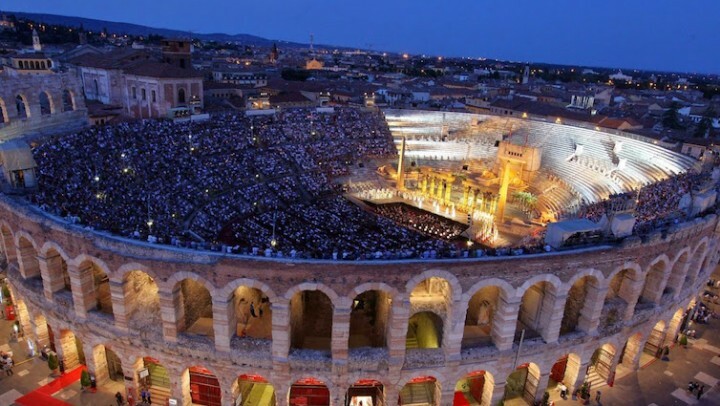 Arena di Verona is one of the world’s most spectacular open-air opera festivals. 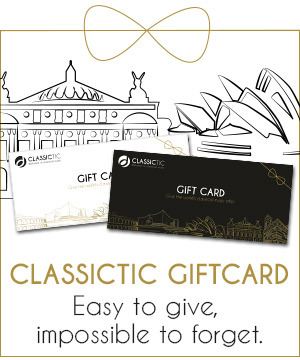 You can WIN two opera tickets + backstage tour thanks to Classictic!